In those days, the most valiant man Judas, making a gathering, sent twelve thousand drachmas of silver to Jerusalem for sacrifice to be offered for the sins of the dead, thinking well and religiously concerning the resurrection (for if he had not hoped that they that were slain would rise again, it would have seemed superfluous and vain to pray for the dead); and because he considered that they who had fallen asleep with godliness, had great grace laid up for them. It is therefore a holy and a wholesome thought to pray for the dead, that they may be loosed for their sins. Brethren, behold, I tell you a mystery: we shall indeed rise again, but we shall not all be changed. In a moment, in the twinkling of an eye, at the last trumpet; for the trumpet shall sound, and the dead shall rise again incorruptible, and we shall be changed. For this corruptible must put on incorruption, and this mortal must put on immortality. And when this mortal has put on immortality, they shall come to pass the saying that is written, "Death is swallowed up in victory. O death, where is thy victory? O death, where is thy sting?" Now the sting of death is sin, and the strength of sin is the law. But thanks be to God, who has given us the victory through our Lord Jesus Christ. At that time, Jesus said to the multitude of the Jews, "Amen, I say to you, that the hour cometh, and now is, when the dead shall hear the voice of the Son of God; and they that hear shall live. For as the Father has life in Himself, so He has given to the Son also to have life in Himself; and He has given power to do judgement, because He is the Son of man. Wonder not at this, for the hour comes wherein all that are in the grave shall hear the voice of the Son of God; and they that have done good things shall come forth unto the resurrection of life, but they that have done evil, unto the resurrection of judgment. I am the living bread, which came down from heaven. If any man eat of this bread he shall live forever. And the bread that I will give is My flesh for the life of the world. The Jews therefore strove among themselves, saying, "How can this man give us his flesh to eat?" Then Jesus said to them, "Amen, amen, I say to you, unless you eat the flesh of the Son of man, and drink His blood, you shall not have life in you. He that eateth My flesh, and drinketh My blood, has everlasting life; and I will raise him up on the last day. At that time, Martha said to Jesus, "Lord if thou hadst been here, my brother would not have died. But, now also I know that whatsoever Thou wilt ask of God, God will give it to Thee." Jesus said to her, "Thy brother shall rise again." Martha said to him, "I know that he shall rise again in the resurrection at the last day." Jesus said to her, "I am the resurrection and the life: he that believeth in Me, although he be dead, shall live; and everyone that liveth and believeth in Me, shall not die forever. Believest thou this? And she said to Him, "Yea, Lord, I have believed that Thou art Christ, the Son of the living God, who art come into this world. "Death is swallowed up in victory. O death, where is thy victory? O death, where is thy sting?" We live in a world in which so many people are terrified by the idea of death or of dying. People go to great lengths; suffering great pain and expense to preserve their lives just a few more years, or even a few weeks or days. It is said that many doctors go to such extremes, not just so they can add to their bill, but so that they can postpone the defeat that they will inevitably feel when their patient dies. Yet, death is inexorable. With all of our modern technology we may be able to make it just a bit more comfortable and even postpone it a little, but we still have no way to avoid it. The angels never die because they are purely spirit. They have no material parts to break down or wear out. But we human beings—men and women—are made up of two parts; body and soul. Like the angels, our soul is spiritual, and therefore it never dies. But our bodies are like all of the other material things around us. Think about that bright, shiny, new car you bought ten years ago; or that beautiful new dress; or even durable things like diamond jewelry. Some last longer than others, but in the long run, all material things just seem to fade away. It is simply their nature—the way they were created by their Creator. And lest anyone complain that this is unfair on the part of the Creator, remember that God specially preserved Adam and Eve from all pain and suffering, and would have preserved them free even from death if they had not sinned. And, lest anyone blame Adam or Eve for our present condition, remember that we did no better  we have all sinned ourselves. None of us has the right to complain that we are unfairly treated by our very natural mortality. Of course, we miss our loved ones when we know that we can no longer see them, speak to them, seek their advice, or just enjoy the pleasure of their company. All of us here today will miss Bernadette. Depending upon how close to her you were in life, a larger or smaller piece of your own lives will be missing, and will never be completely replaced. It would be wrong and foolish not to grieve over loosing her—if you feel like it, you should go and cry for a while; it is good for you. St. Paul tells us that "death is swallowed up in victory ... for the trumpet shall sound, and the dead shall rise again incorruptible." We know that on the last day, Almighty God will raise us from the dead and restore our souls to a glorified body; one no longer subject to sickness and death. It matters not that we died young or old; that in this life we may have lost a limb. It matters not that our bones are in a fancy box, or our ashes scattered to the four winds. In any case, God will raise us up, whole once again. But here again, we see that God has conquered death in another way. He has conquered not only the death of the body, but also the "death" of the soul. By virtue of our Lord's life, death, and resurrection, He has even conquered sin.  In her Baptism He washed away every stain of original sin, and infused His divine life into her soul.  He gave her the Bread of Life in Holy Communion, sustaining her with the food that nourishes not just in time, but in eternity.  In Holy Matrimony, He gave her a husband who preceeded her in eternity by many years, but about whom she always spoke so sweetly; and a son and a daughter-in-law who were always there for her when she needed them. A grand-daughter, and great-grand-sons.  Finally, God was good to Bernadette by bringing us all together today to offer the Holy Sacrifice of the Mass and to pray for the repose of her soul. 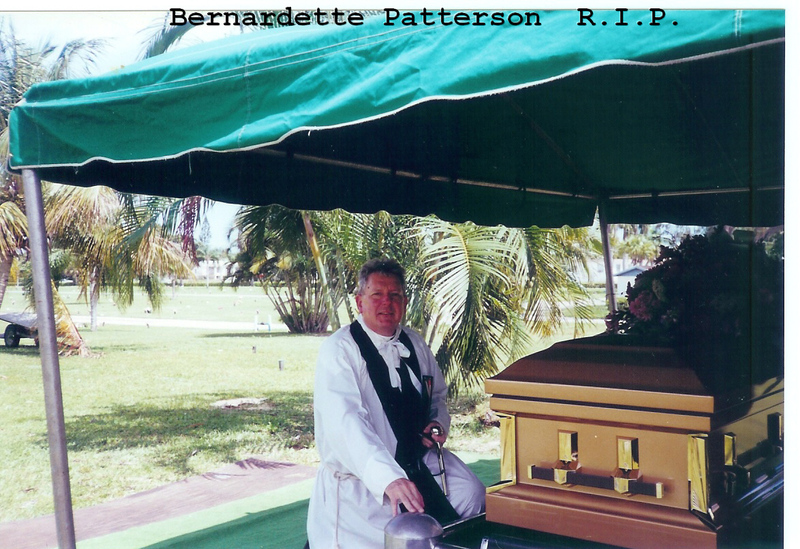 Traditionally, Catholics do not eulogize their dead. But, I think we ought to acknowledge some things that several of you have remarked about Bernadette during the past few days -- things that I have heard and seen on and off over the years that I have known her: She was uncompromising in her faith, both in the sense of not yielding to modern innovations; and, perhaps more importantly in the sense of never loosing her sense of personal devotion, belief, and trust in the providence of Almighty God. 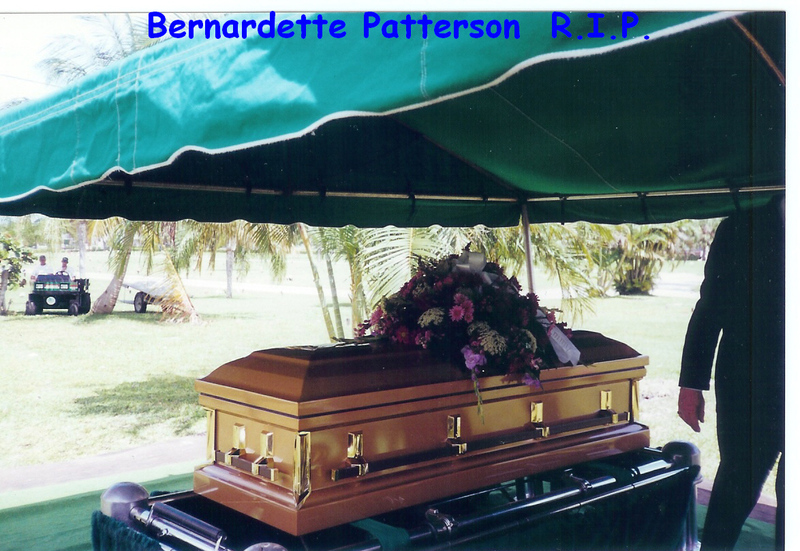 I am sure that many of you remember that walking into Bernadette's home in Lantana was more like walking into a church than walking into many of today's churches. In a rather literal sense, she lived with Jesus and Mary and Joseph—and not just with their pictures or their statues. A few of you have referred to her as a "prayer warrior," and I don't think I know anyone more correctly identified by that title. Our Lord and Lady will have no trouble at all in remembering her when she meets them face to face; it will be a long awaited reunion.